A boy holds a candle at a memorial for his 19-year-old cousin who was shot to death in Chicago. Blair Holt was riding on a Chicago bus when he was shot and killed 11 years ago. His mother, Annette Nance-Holt, says she still regrets that she had plans that afternoon that prevented her from giving Blair a ride. The 16-year-old honor student had to get from his south side high school to the Roseland neighborhood to help out at his grandparents' store. He was shot while trying to shield a friend from the gunfire. Her son, she said, was happy and healthy when she last saw him that day. He had just gotten his braces removed. There wouldn't have been the need to be so cautious if Blair hadn't had to travel in a troubled, predominantly African-American neighborhood. Blair Holt was shot and killed while riding a bus in Chicago. 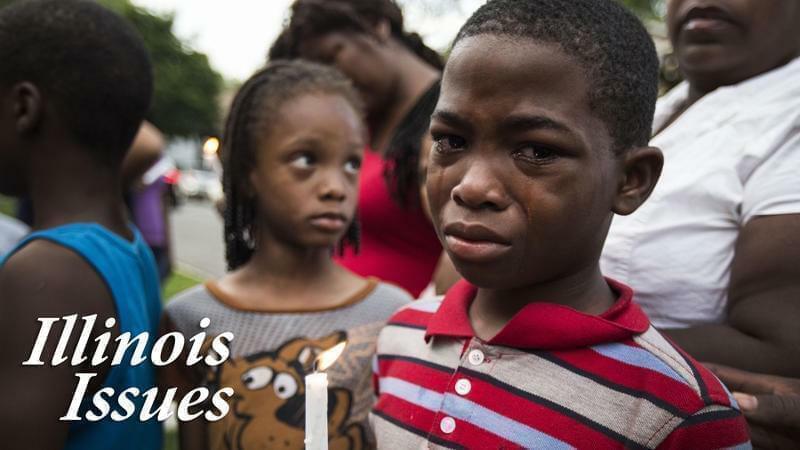 There is a wide gap in the rate African-American children die in Illinois as opposed to other races. In fact, the black-white gap in Illinois for 2015 among teens is the fourth largest in the country. That's according to the numbers from the Centers for Disease Control and Prevention that were analyzed by Voices for Illinois Children. The Illinois child death rate has decreased for white and Hispanic children since 2005, while the black rate among teens is increasing. The average child death rate in Illinois is about the national average. 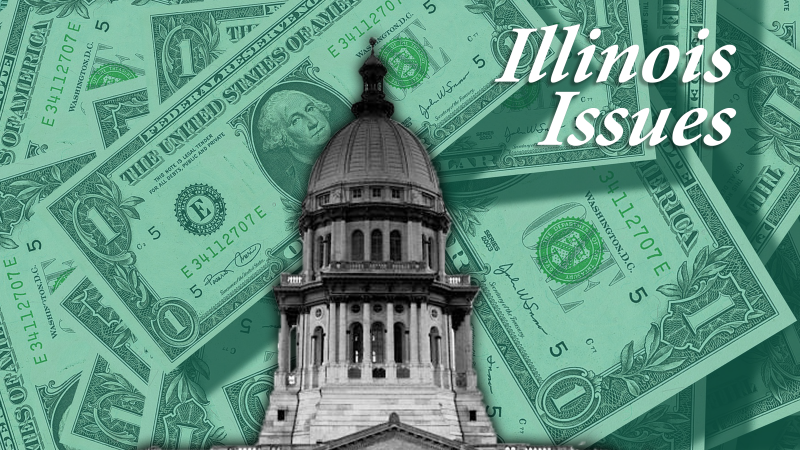 "It really is a big issue … in Illinois that we have such large disparities. Black teen boys are dying through gun homicides at rates more than six times the suicide rate for white boys, which is the leading cause of death for that group," says Anna Rowan, a project manager for Voices for Illinois Children. There are organizations working to change that situation. Rebecca Levin is executive director of the organization Strengthening Chicago's Youth, which is based at the Ann and Robert H. Lurie Children's Hospital of Chicago. Her group is a violence prevention collaborative. "When this kind of disparity exists, we need to look at why it happens. It's not accidental that it happens, and it's not the fault of black boys." Annette Nance-Holt, Blair Holt's mother, agreed. "A lot of people tend to think the No. 1 reason most of the young people who will be murdered are in a gang, that they are not good kids, that they are doing the wrong things, and it's not true. "These are average young people trying to do things everybody does - jumping rope, going to church, playing in a band, going to school, catching a bus, just outside at a block party. These are things that in other communities you can do and be safe. In our communities you can't, and there is a great disparity in what the African-American community looks like in certain neighborhoods as opposed to other communities. " Levin says there are policies in place that affect health equity for communities with concentrated disadvantages - often in communities of color. She gave the example of promoting of incentivized investment in one community, while "allowing disinvestment in communities of color." She said policies exist that perpetuate what she calls structural racism. "A great example of that is mass incarceration of people of color where the War on Drugs has led to African Americans being locked up at astronomically higher rates than white people are locked up, which then takes a toll on communities," she said. There are policies changes that could improve the situation, she said. Among them would be creation of high-quality early childhood education and afterschool K-12 programs; more investment in black communities; improved mental health services; and greater gun violence prevention methods. "There is a cycle of violence and trauma that occurs in communities that are heavily affected by violence. The clearest way I've heard this cycle described by people in the field is the concept that 'hurt people hurt people.' And so, we need mental health services. We need trauma-informed services to help interrupt this cycle of trauma and violence in communities." In terms of gun policy, she said that there are similarities between Chicago and of New York and Los Angeles "in the policy environments and the prevalence of guns. Chicago recovers far more guns than New York and Los Angeles do. Their guns are much more available in Chicago than in New York and Los Angeles, and that's reflected in our homicide rates. Protestors rally after the 2014 shooting of 17-year-old Laquan McDonald by a Chicago police officer. "If you compare the non-firearm homicide rates in Chicago, New York and L.A., our non-firearm homicide rate is pretty close to those other cities' non-firearm homicides," she said. "But in Chicago, the firearm homicide rate dwarfs the firearm homicide rate in New York and L.A. A piece of that puzzle is geographic." New York's surrounding states have similar strong gun laws, for instance. But while Illinois has relatively strong gun laws, neighboring states such as Wisconsin and Indiana do not. 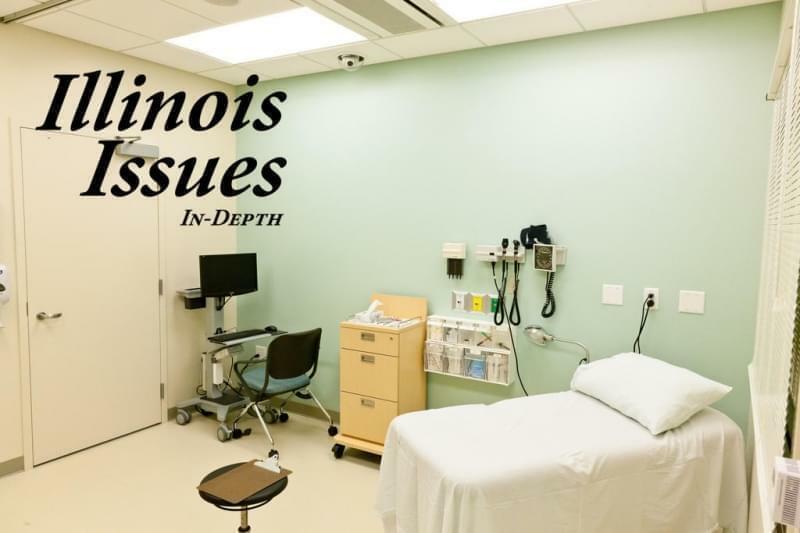 The Illinois legislature earlier this year created a children's health caucus that will deal with issues related to the in equity in child death rates, according to Senate chairwoman of the caucus, Julie Morrison, a Deerfield Democrat. "We don't have health equity across the state. Sometimes it's clear in … that some of the racial divide also conforms to our socio-economic disparities." Morrison said the group has only begun meeting and in August will look at mental health issues for children. But Annette Nance-Holt wants to see something done by politicians about the racial disparity in teen deaths. "I feel like these people need to they need to wake up, wake up because right now in our community, it's going to keep spreading and spreading and spreading. It's like a virus, it really is."